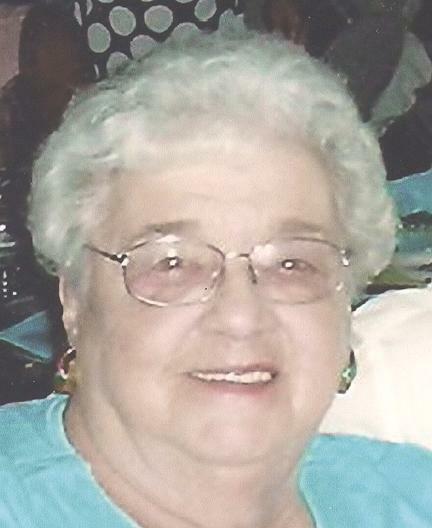 Laura Jean Rinehart, 78, of Zanesville, died at 4:15 p.m. Monday, November 30, 2009 at Cedar Hill Care Center. She was born December 24, 1930, in Zanesville, a daughter of the late Russell and Laura Belle Yazell Richardson. She was a former member of the North Terrace Church of Christ. She enjoyed reading, crossword and jigsaw puzzles. Most of all Laura enjoyed her family. Surviving are two daughters, Linda (Jeff) Ferrell and Marcia (Bruce) Chema, both of Zanesville; 4 grandchildren, Ben (Tonya) Ferrell and Carly Ferrell, both of Zanesville, Dr. Andrew (Melaine) Chema of Cuyahoga Falls, and Jake (Desirae) Chema of Zanesville; 4 great grandchildren, Makinzey, Brooklyn, Gracie and Josie; a sister, Rita McGlade of Westerville; an aunt, Evelyn Richardson of Zanesville; and several nieces and nephews. In addition to her parents, she was preceded in death by her husband, Harold I. Rinehart, who died August 15, 2001; a brother, Raymond Richardson; and a nephew, Tyler McGlade. Friends may call 3-6 p.m. Thursday, December 3, 2009 at the Bolin-Dierkes Funeral Home, 1271 Blue Ave., Zanesville. Funeral services will be held at 1:00 p.m. Friday, December 4, 2009 at the funeral home with Rev. Mark A. Combs officiating. Burial will follow at Zanesville Memorial Park Cemetery. In Lieu of flowers, Memorial contributions may be made to Genesis Hospice-Morrison House, 713 Forest Avenue, Zanesville, Ohio 43701 in memory of Laura Jean Rinehart.